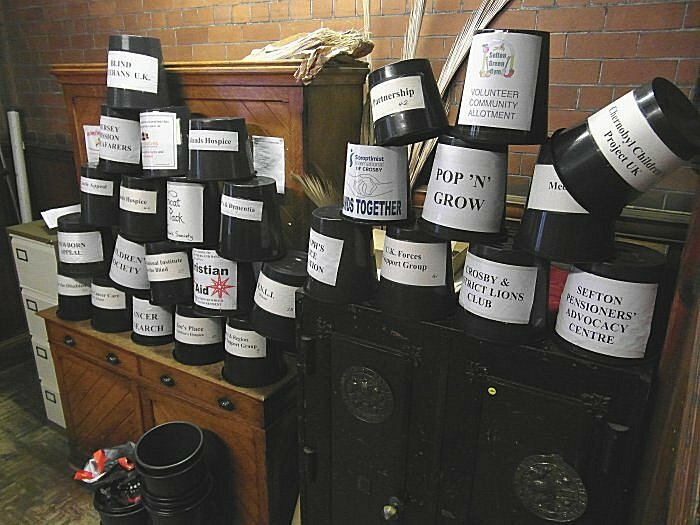 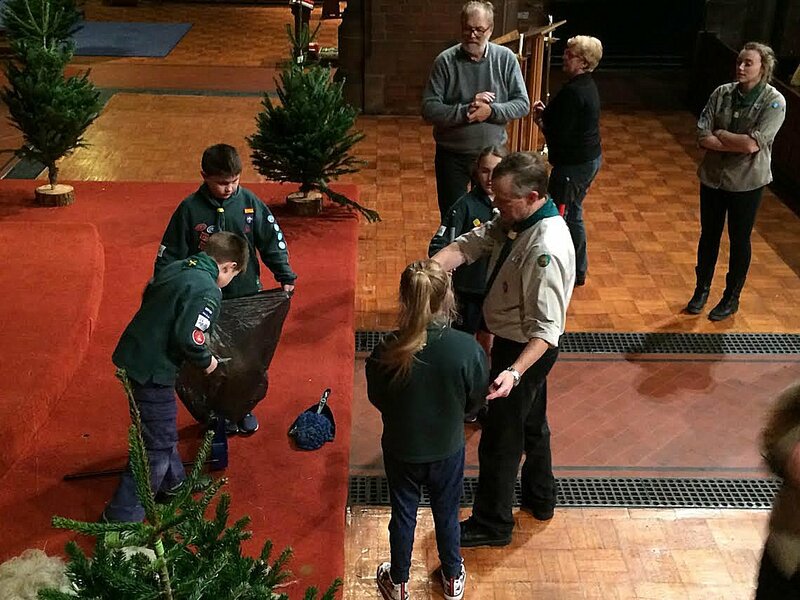 The trees arrived on the Tuesday (1st December), and the buckets were resurrected the next day. 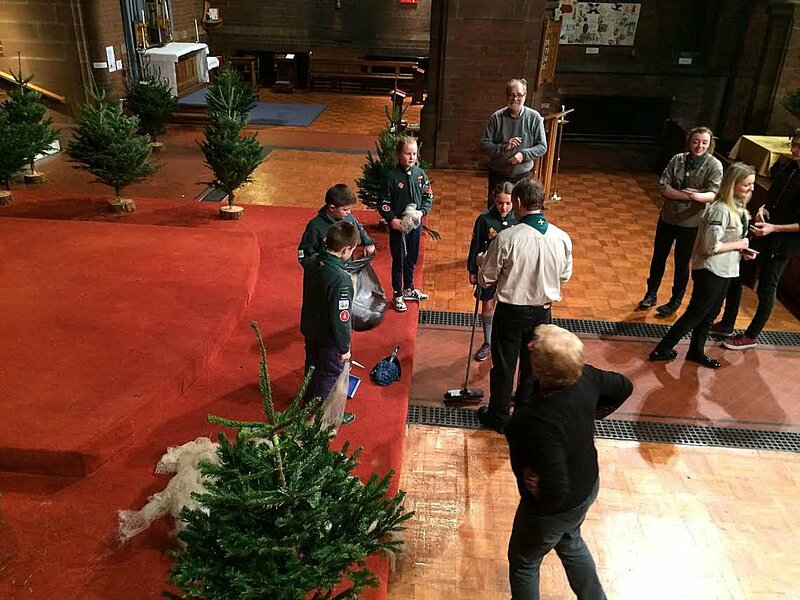 Thursday evening saw the church cubs (and their leaders) in action. 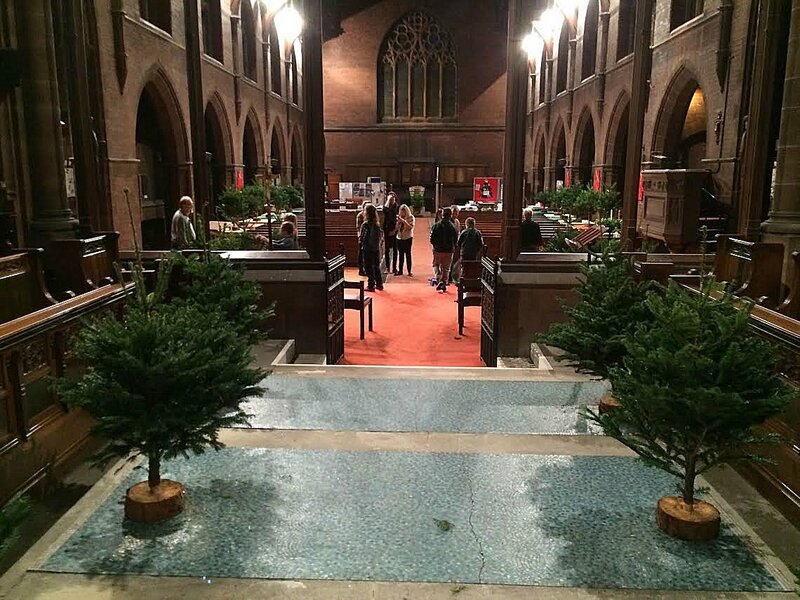 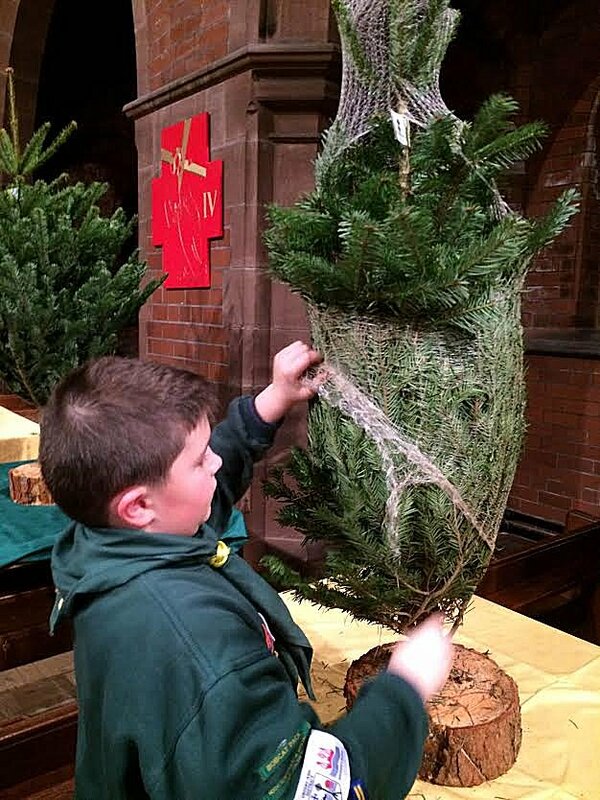 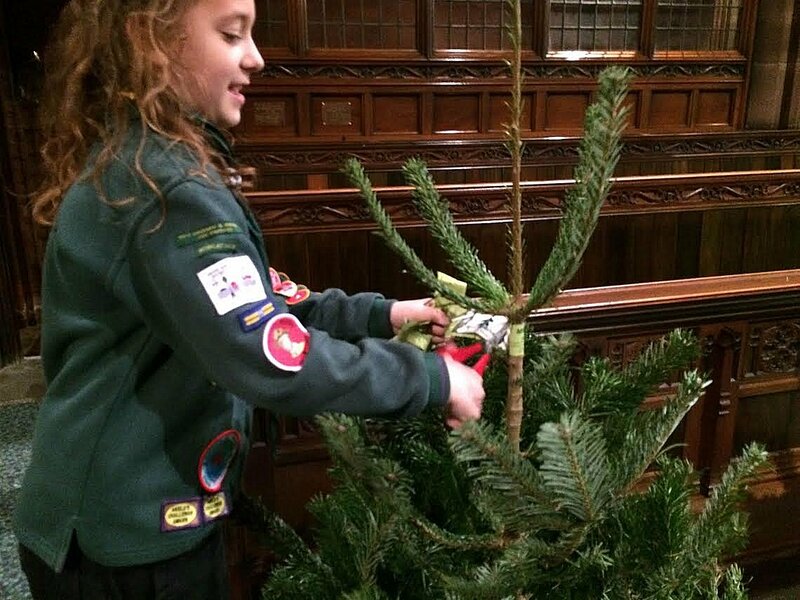 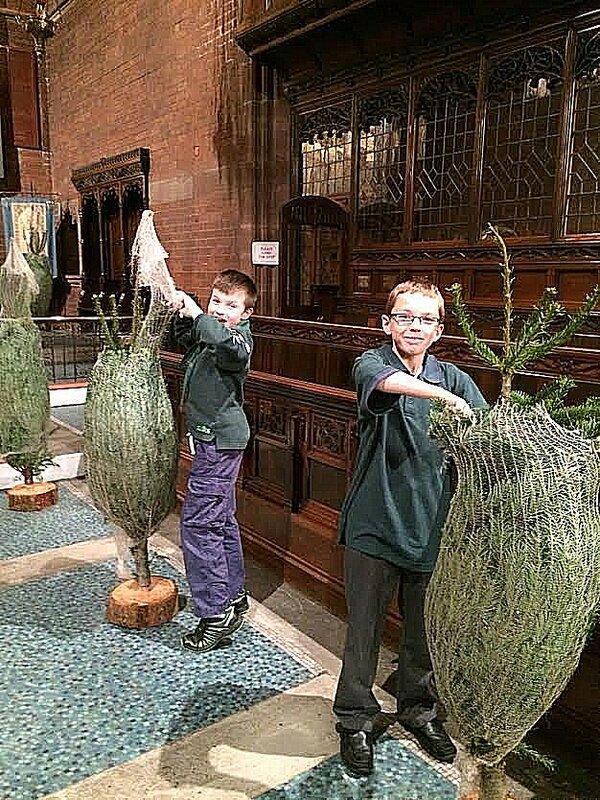 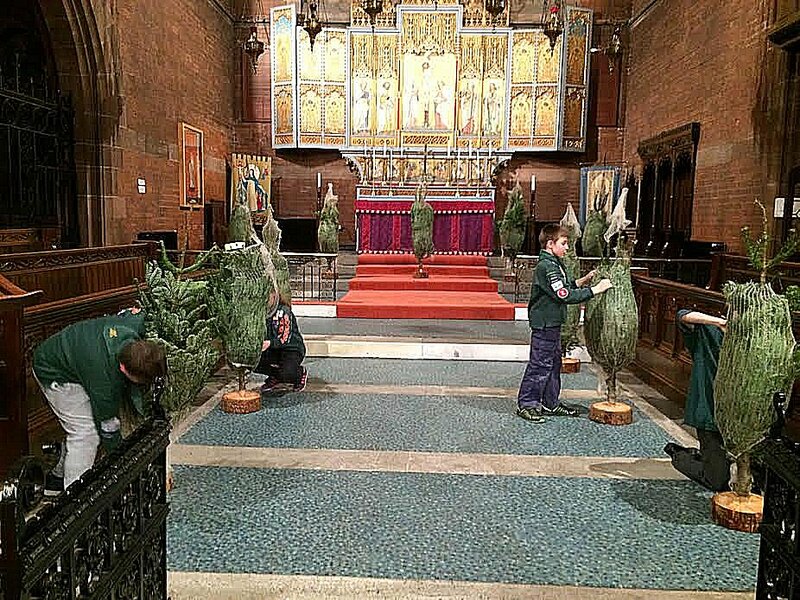 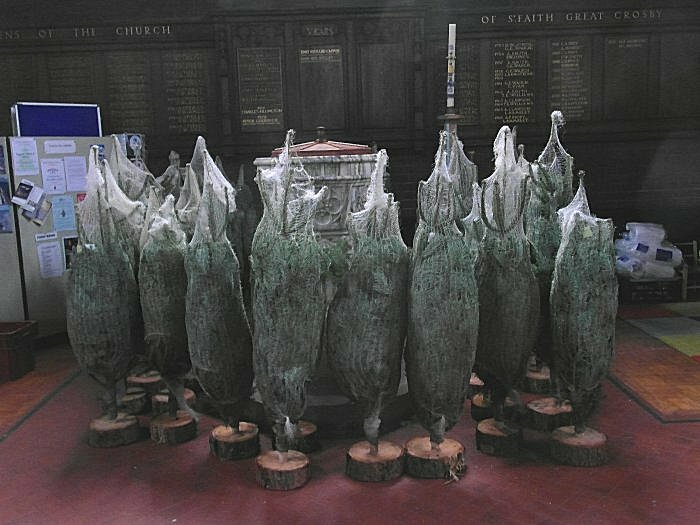 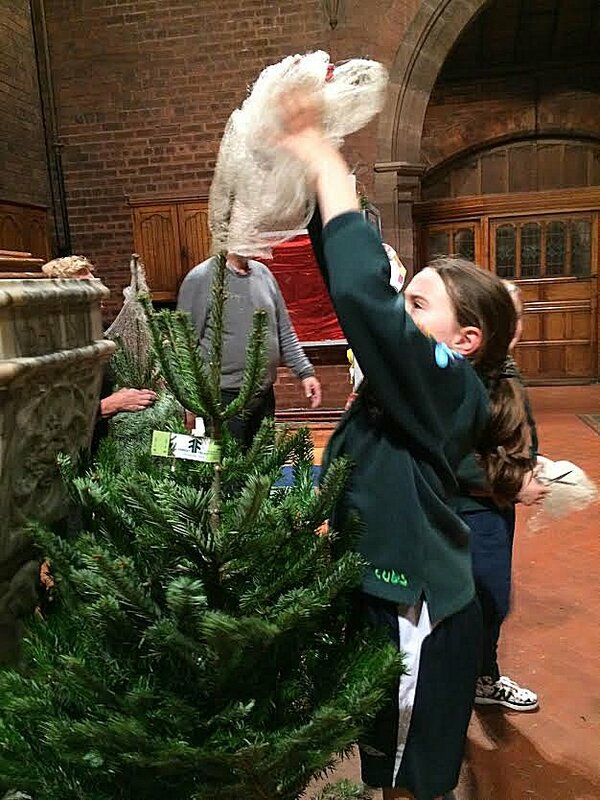 Trees were placed in position, unwrapped and spruced up ready for decoration.